Last month the magic of the Vitra campus cast its spell on yet another lucky member of the Nest team as our newest recruit, Jess, went to visit. 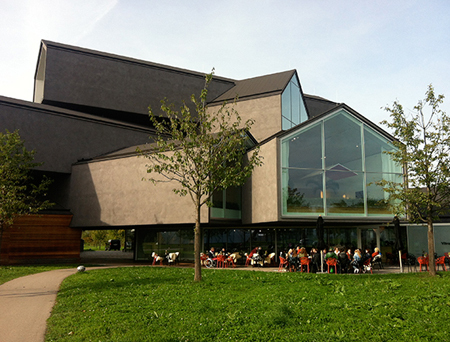 The collection of architectural gems that make up the Vitra campus all sit within the breathtakingly beautiful countryside just outside the Swiss town of Basel. 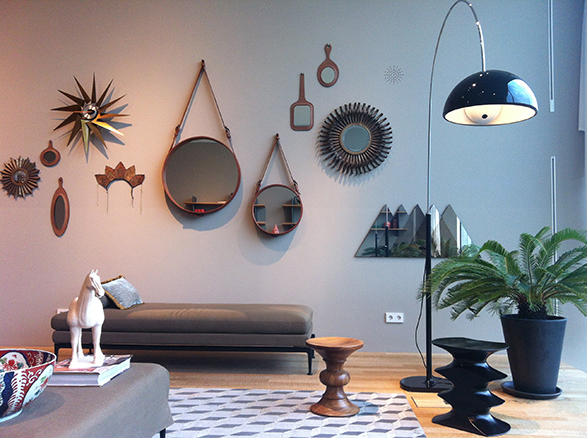 The green surroundings perfectly encase these stunning masterpieces of design - and the wealth of inspiring products they have to offer. 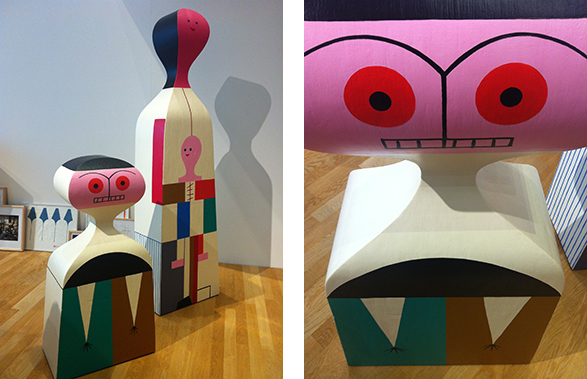 Upon arrival at the campus’s main hub, the VitraHaus, we were greeted with the colourful and unique creations of Alexander Girard, all smiling down at us from the reception desk – never has a welcome been so friendly and warm! 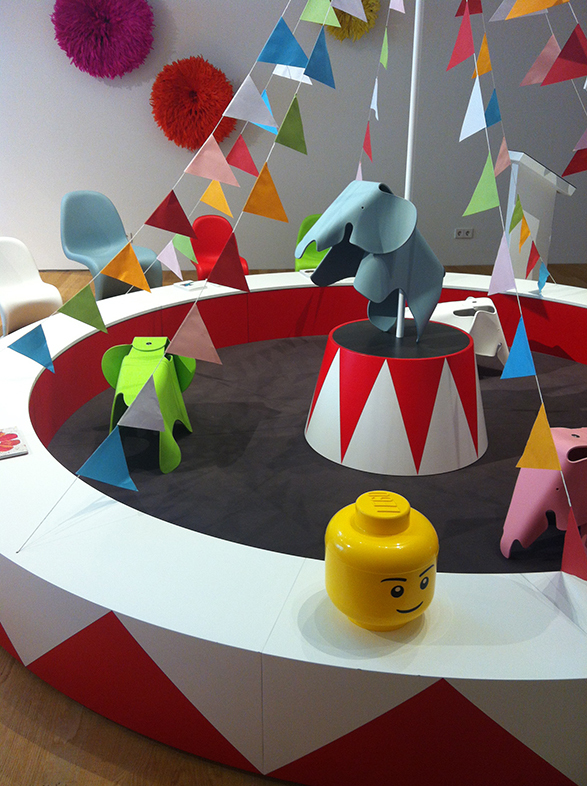 For us, this colourful and eclectic sea of faces set the tone of the entire Vitra experience, and made us eager to see more. After a brief look around the varied room sets and a brief chat with our guide, we were desperate to explore! We were told of Vitra’s ‘collage principle’ – an approach they use to create interest and depth in their room sets through mixing items, colours and textures - and we just could not wait to see this in action. Weaving through the Haus, we discovered the highest point - a room referred to as the 'Metropolitan Loft' located on the Haus’s fourth floor – a space that takes your breath away. 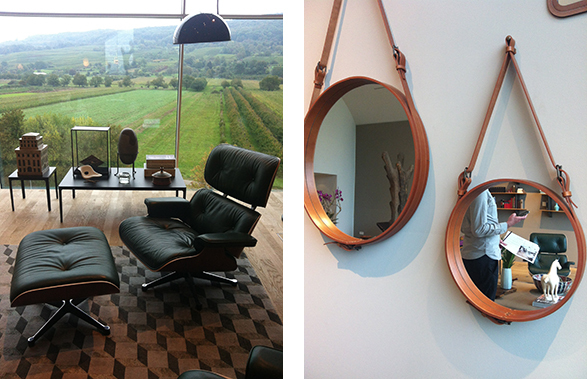 Against a backdrop of stunning green hills emerge the focal point in the room - a pair of Eames Lounge Chairs in the surprising hue of rich green. The room has an earthy palette with mushroom and mauve tones to contrast against the elegant green, aubergine and striking black. A combination that not only works exceptionally well in terms of colour, but also in its mix of textures – leather, wood and glass all work harmoniously together. 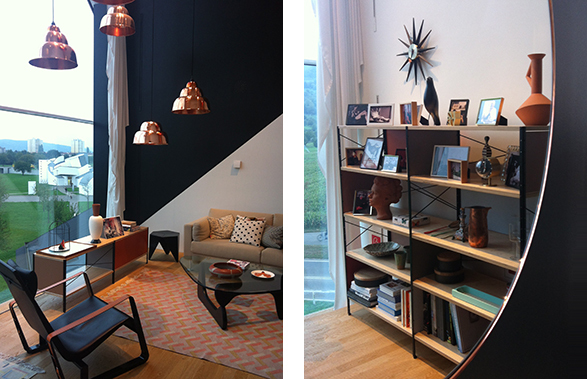 Vitra's unique ‘collage principle’ is showcased in full glory in the Metropolitan Loft. 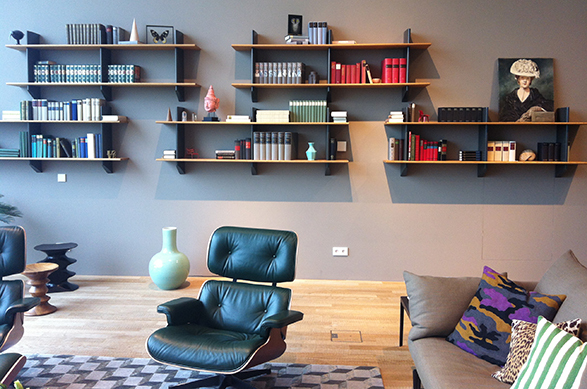 Eclectic pieces of art combine with magenta orchids, ceramic artefacts and a wealth of books. The room was not absent of fun either with its stunning wall of mirrors - all varying in size and material - conveying perfectly just how well mixing styles can really work in a space. Swooping downward around the spiral stairs, we were faced with the most playful room within the Haus – the children’s den. Bright colour engulfs you as you enter the space, drawing your eye to the elaborate elephant circus feature at the centre. 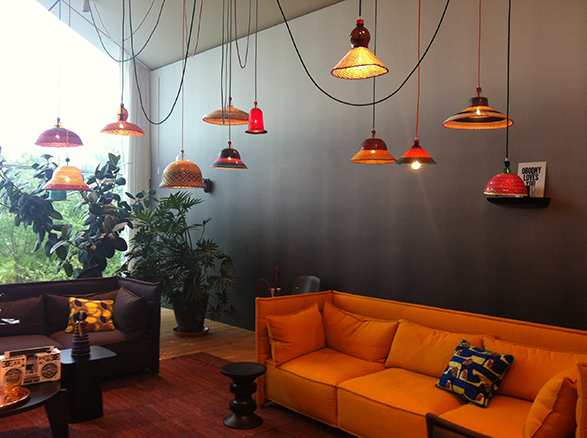 You cannot help but smile in this space with its celebratory feel! 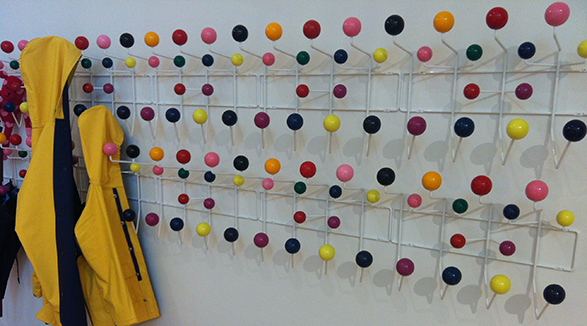 The Eames Elephants, giant Girard Wooden Dolls (our personal favourites) and multi-coloured Hang It All’s (in copious amounts!) make for an enchanting combination. This is not to say that the use of bright colours should only remain with the kids – colour can add humour and playfulness to any space. Take this vibrant dining space with the DSR Chairs, Basel Chairs, Kast Unit and &Tradition Flowerpot VP1 Pendant all in glossy and inviting hues – this is a grown-up space we’d love to dine in! Again, Vitra’s ‘collage principle’ is in full effect here – bowls, plates, glasses and flowers are all situated together to create a room set full of interest and intrigue. Moving on through the Haus, we came across the studio flat – a space set up to mimic a one room space, which aimed to show that small spaces can be stylish too. 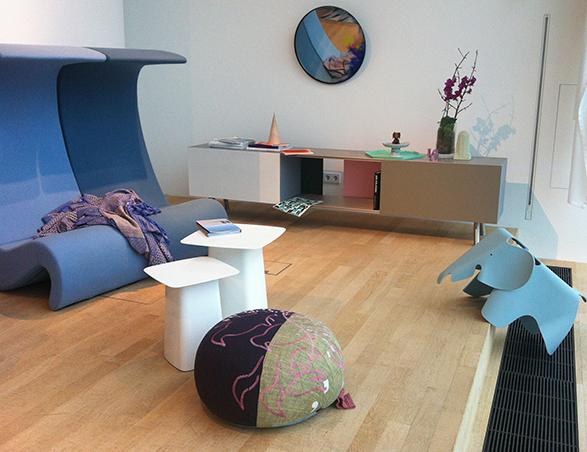 As well as a selection of newer Vitra wares on show, most notably the ESU 4OH, the space also included some designs that weren’t necessarily Vitra’s own. 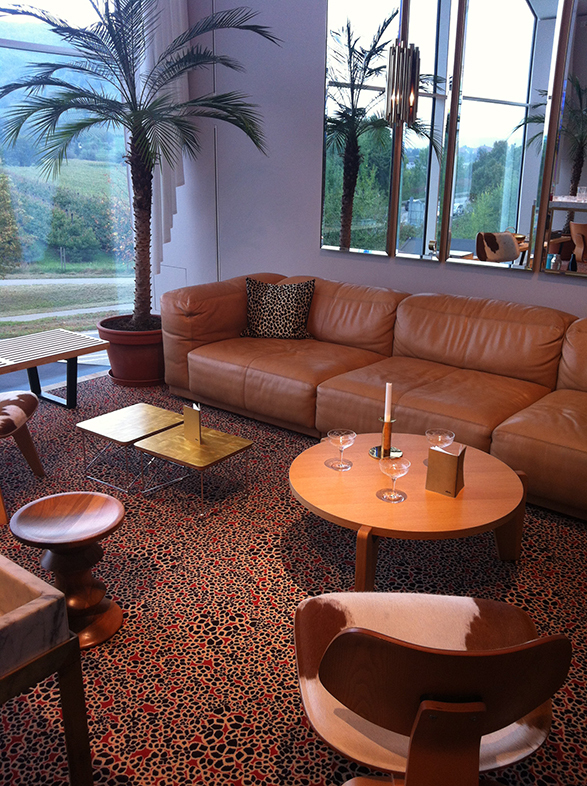 The idea behind this was to show how Vitra’s items look in a home setting – you can really imagine the space being yours. The Noguchi Coffee Table was adorned with one of Donna Wilson’s illustrated plates, a chunky coffee-table book and a fruit bowl – essentially, a selection of items that any ‘lived in’ space might have. 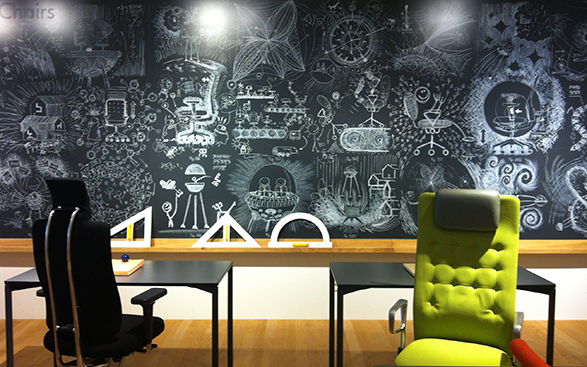 Vitra continues to deliver its creative interiors throughout our explorations as we discover the school of chairs - a chalkboard mural adorned with interesting sketches and graphic typography. 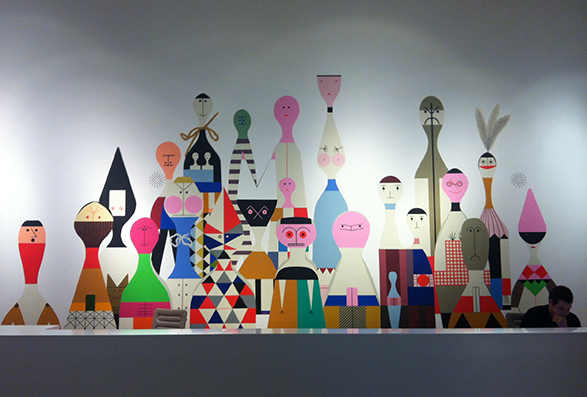 This mural represented all what Vitra stands for – fun, design-led and something that little bit different. 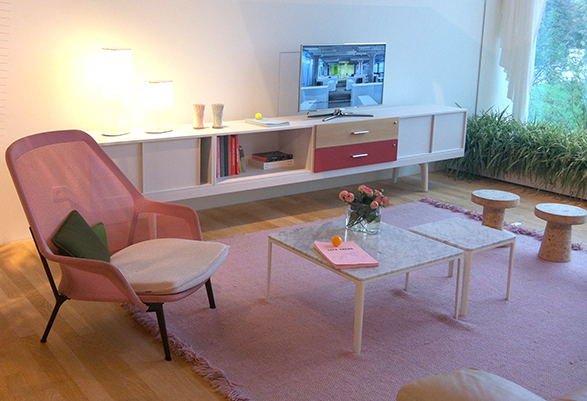 Next up are the pastel pinks of the Slow Chair – a product that is now a personal favourite after having seen it in the flesh! Moving on we see the warming hues of the tan leather Place Three Seater Sofa and metallic accents of the LTR Occasional Table in gold leaf. Finally, the cornflower blues of the Amoebe Lounge Chairs really captured our attention. 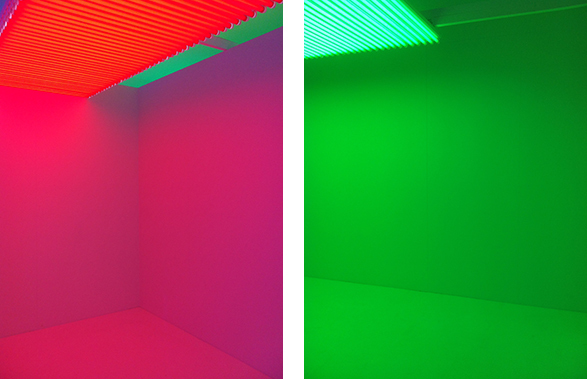 Never has colour been so exciting! 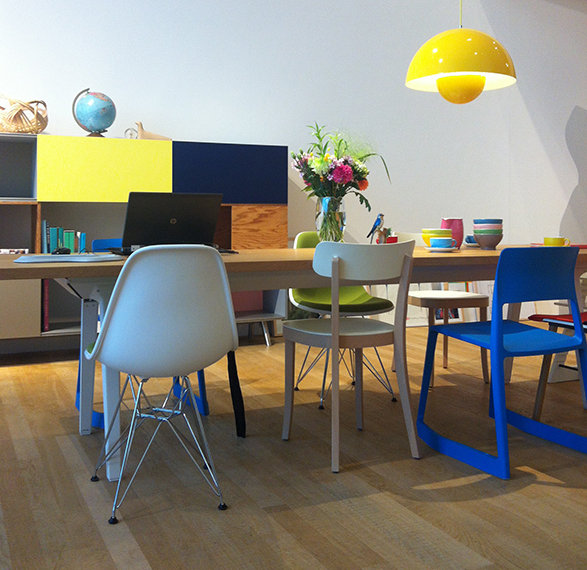 Vitra showed us the true beauty of the bright, and what can be achieved when you dare to be brave with colour. To top off our incredible trip, we had an exclusive peek at the Lightopia exhibition running at the Vitra Design Museum. With over 300 light installations on show we were treated to a wonderful display of light and drama – see below for a couple of images of the dramatic light show – it’s a real must-see!